With Paul Rachubka and Matt Gilks injured, Holloway has been given permission by the Premier League to find cover for current number one Richard Kingson, but ran out of time ahead of Saturday's 1-1 draw with Aston Villa at Bloomfield Road. "It is very difficult to get someone as we are finding out. 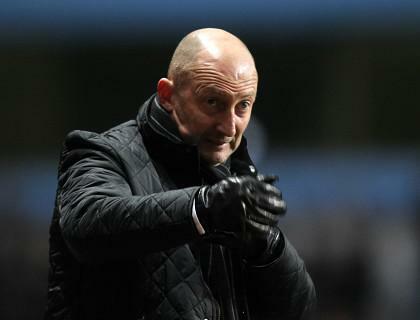 But we will be cracking on and see if we can convince a club to loan us a player to either sit on the bench or go in our team," Holloway said. "If he is too young how can I put him above Richard Kingson? How can I tell Rich, 'sorry, I have to play this young kid. He is not ready yet but that is all I can borrow'. "I could have had a goalkeeper from Tottenham but we play Tottenham on Tuesday. So what is the point of taking him? We would be in the same boat. What can I do?"